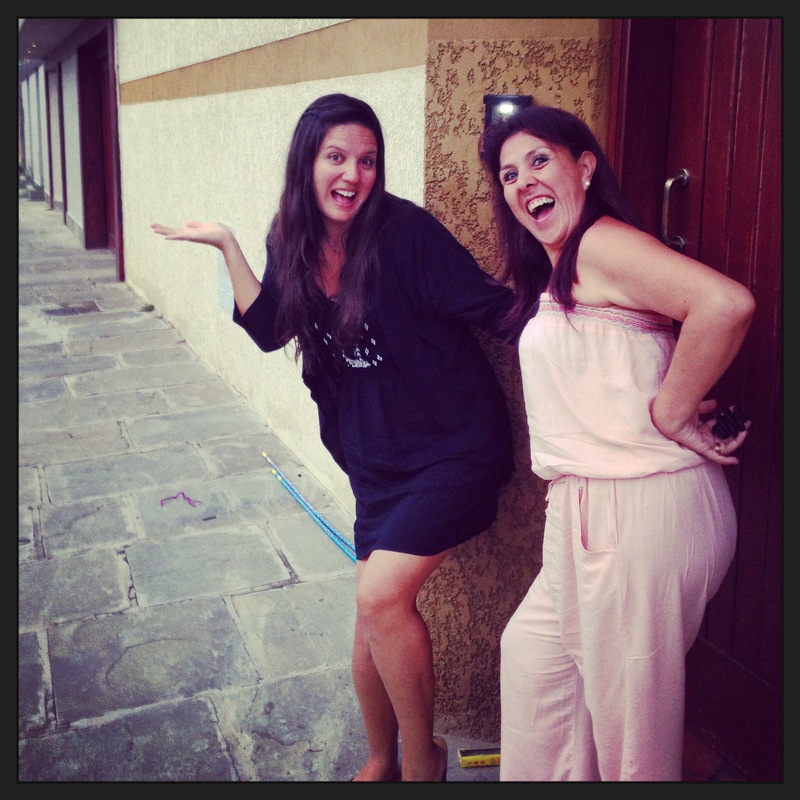 When we were floating around on Journey, I spent quite a bit of time and energy on our FB page and this blog. I really cared how many “likes” we got and I really wanted folks to follow our story. Now that we are land-based again, I care much less because we are boring worker-bees again :) But lately, we have had lots of interest in our story, welcoming a whole crop of new “likes” and blog followers. I hope that you’ve had a moment to visit our About Us page and know that we are taking a little break from cruising to re-fill the kitty. Winter in Maryland keeps us away from the boat, so we don’t have any sailing stories for ya right now. 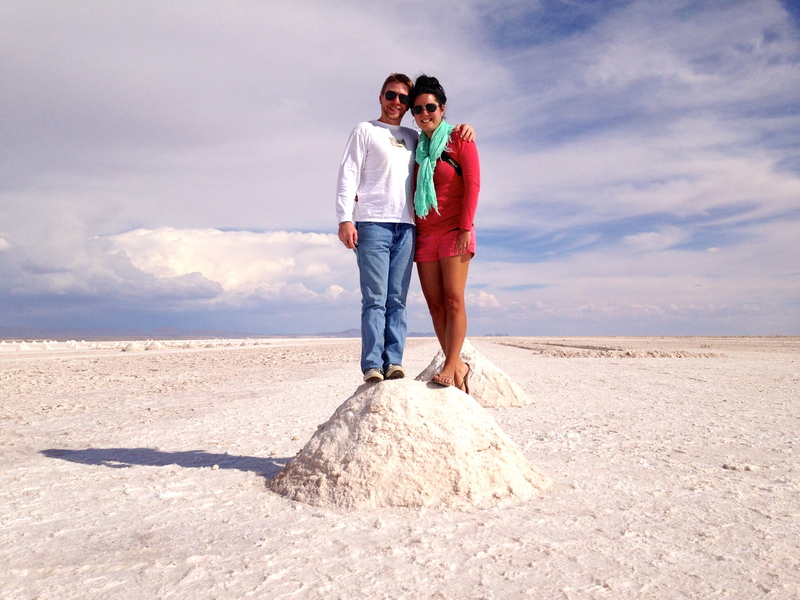 But cruising has definitely given us the travel bug and this Christmas, we planned a trip to visit family in Bolivia. 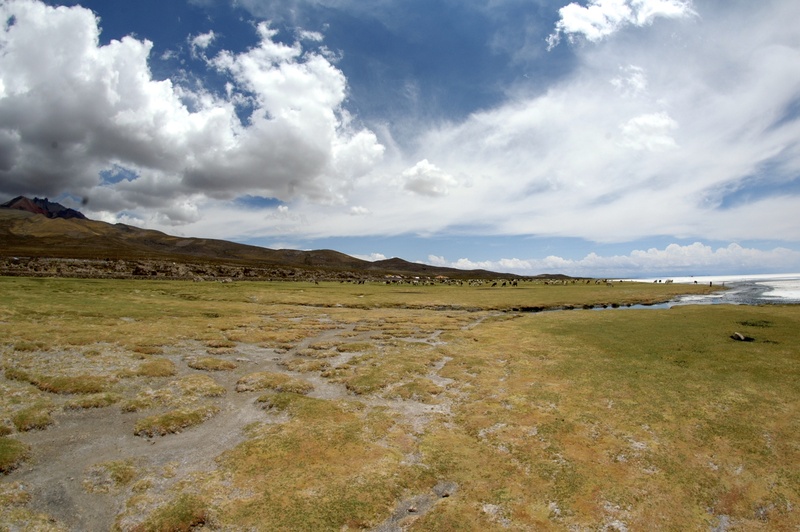 Cruisers and cruising wanna-bes tend to love travel, so I hope you will allow this non-sailing post about our 2 week adventure in land-locked Bolivia. 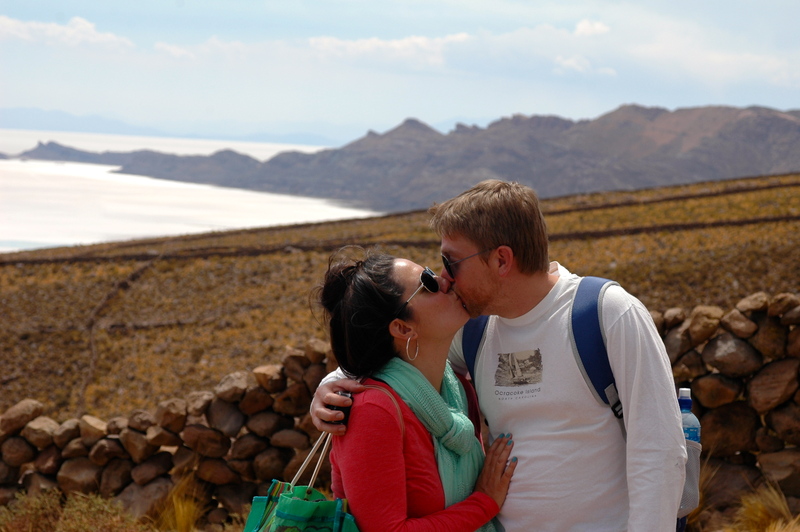 The stars aligned and made it possible for me, JR, my BFF, her hubby, and another set of close friends to travel together to Bolivia to visit our respective families this Christmas. 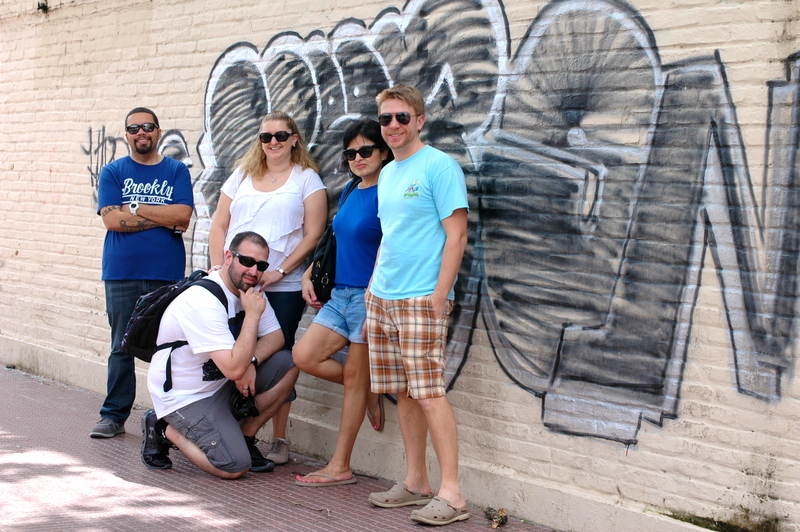 It’s a big, expensive trip, so the fact that the 6 of us were able to carve out time to travel together is pretty rad. 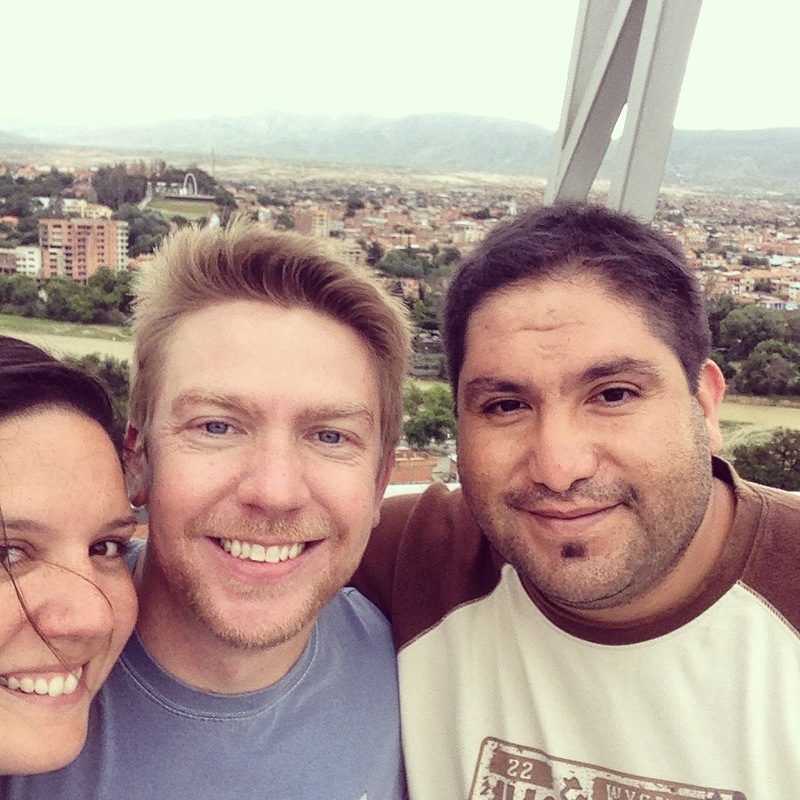 We left around the 20th of December, headed to Santa Cruz, Bolivia, then onto the smaller town our parents are from, Tarija, Bolivia. 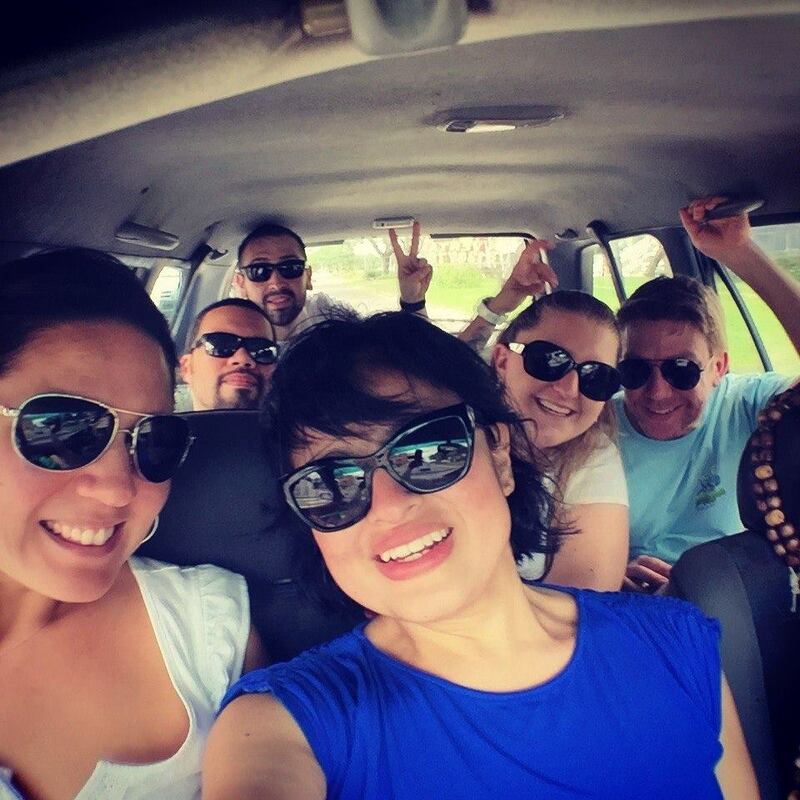 Santa Cruz – Finding a cab for 6 is easy if you’re willing to cram in! Thanks, Fla, for the pic. 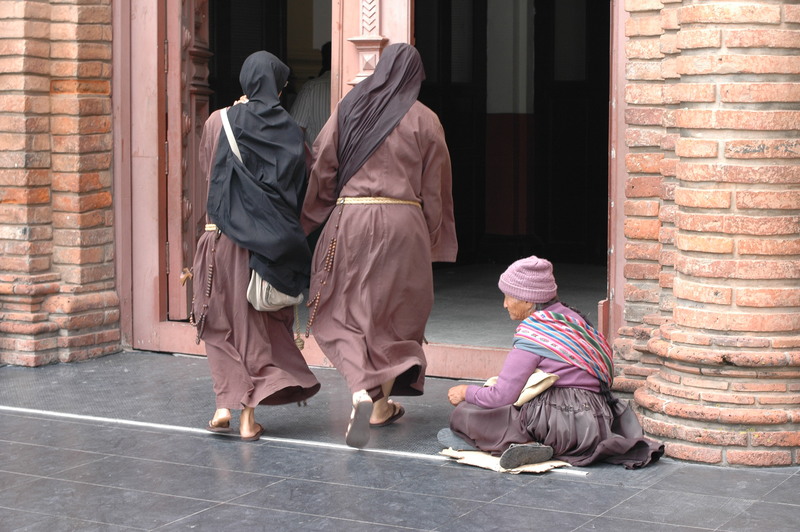 Santa Cruz – Basilica de San Lorenzo at the Plaza 24 de Septiembre. 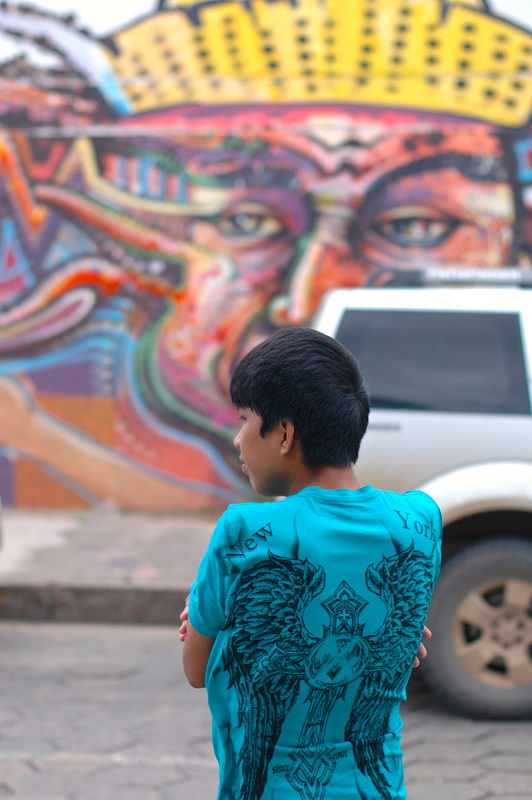 Santa Cruz – A young Bolivian kid, waiting for a cab in front of some pretty cool graffiti. 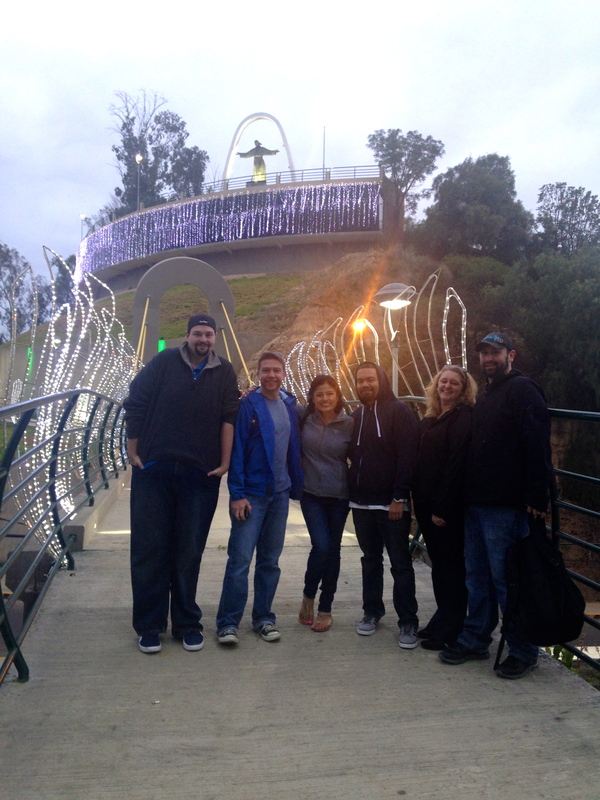 Santa Cruz – Our crew, walking the mean streets of Santa Cruz. We fit right in, don’t we? 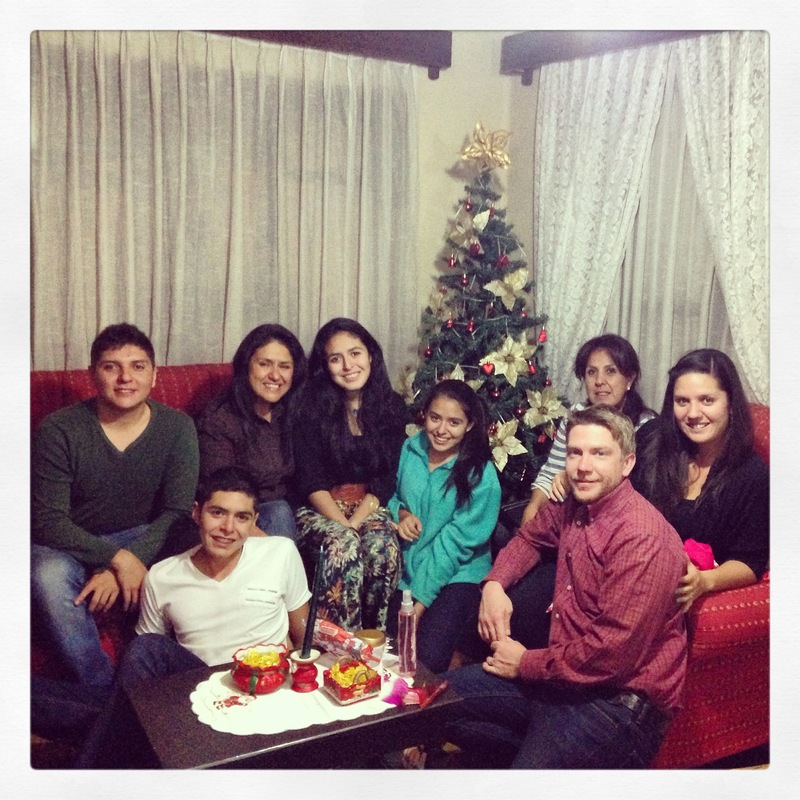 After a few short days in Santa Cruz, we jumped on a plane and took a short trip to Tarija where we welcomed by lots of family and my daddy! 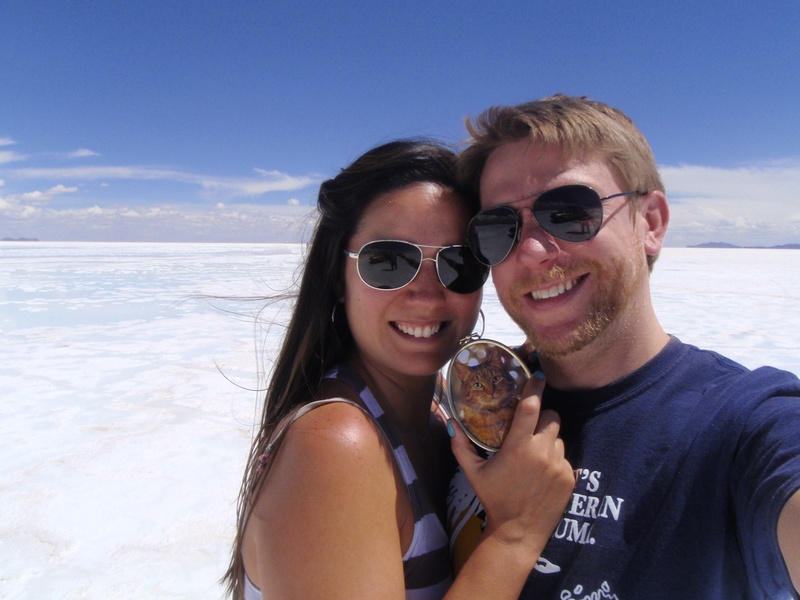 We spent Christmas there before hopping in a van to tour the Salt Flats near Uyuni, Bolivia. 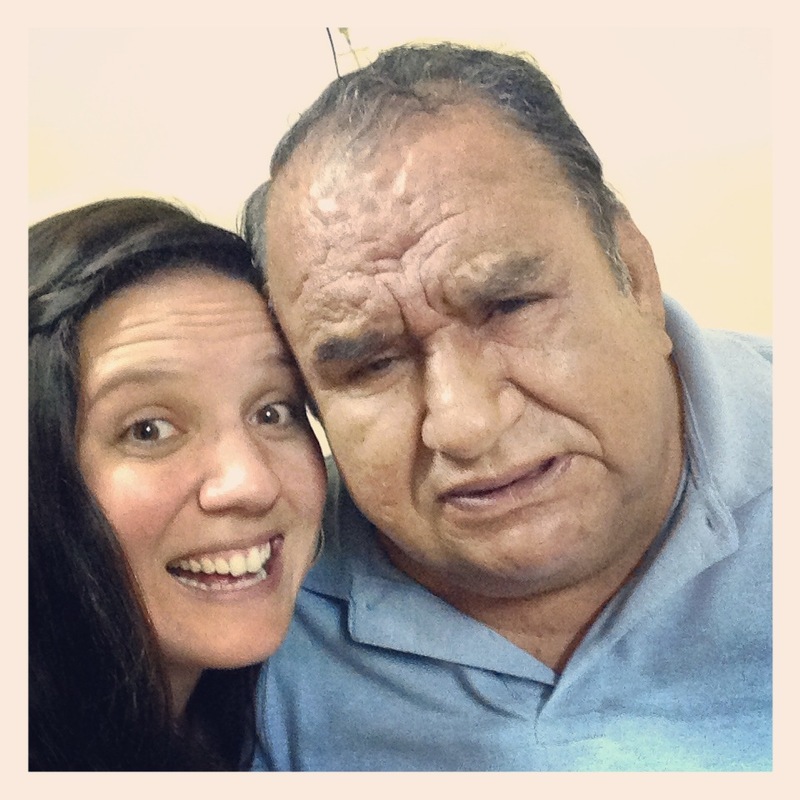 Tarija – This would be my daddy’s “I’m so happy to see you, hija!” face. 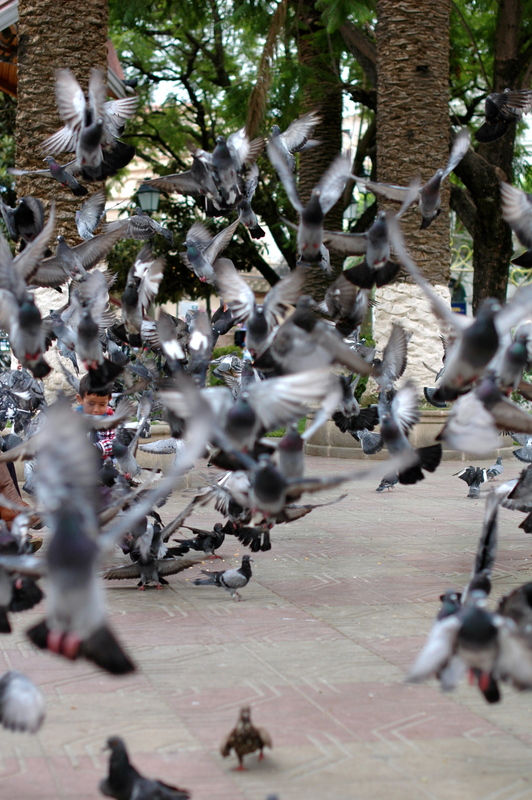 Tarija – One of the plazas in Tarija. 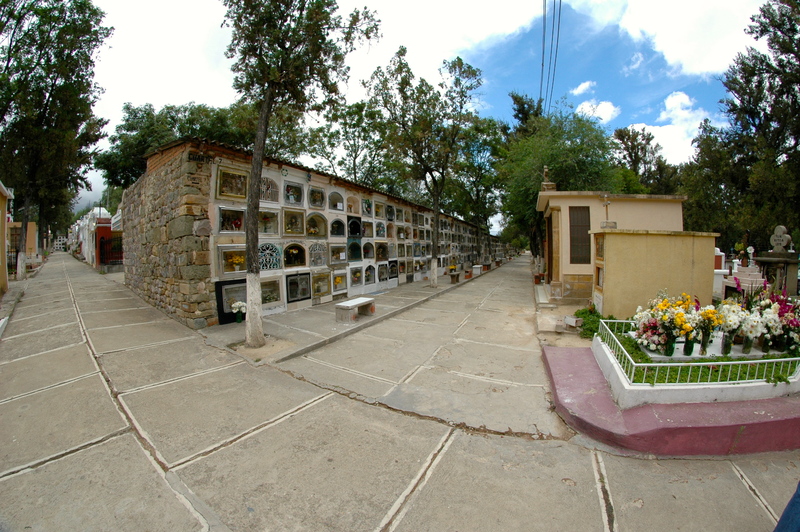 Tarija – The very beautiful cemetery. This is truly one of my favorite places in the whole world. 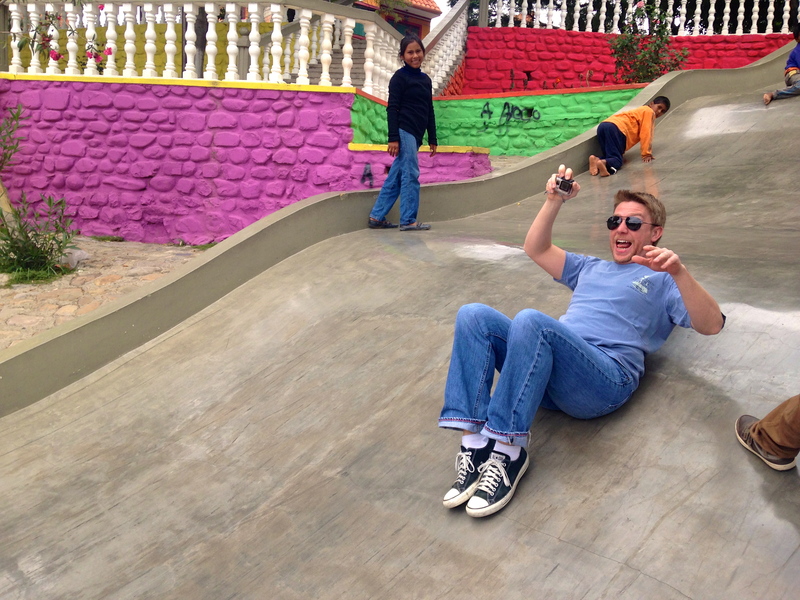 Tarija – A public slide for the kids. FOR THE KIDS, JR! Also known as Disney Tarija. 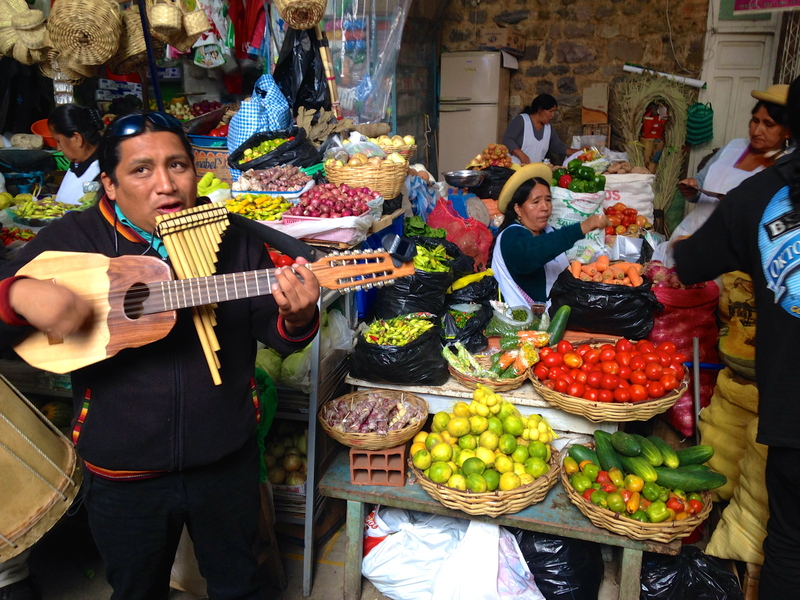 Tarija – Musica at the Mercado! 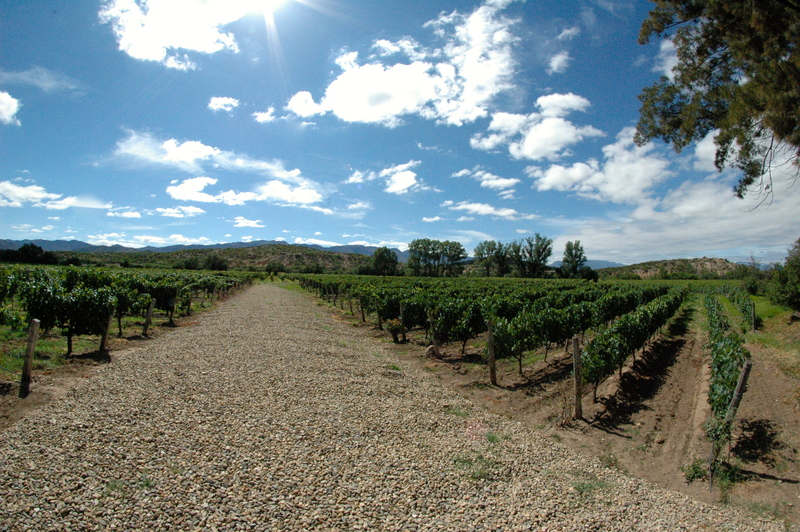 Tarija – We took a tour of a few of the many wineries in Tarija. The views were beautiful! 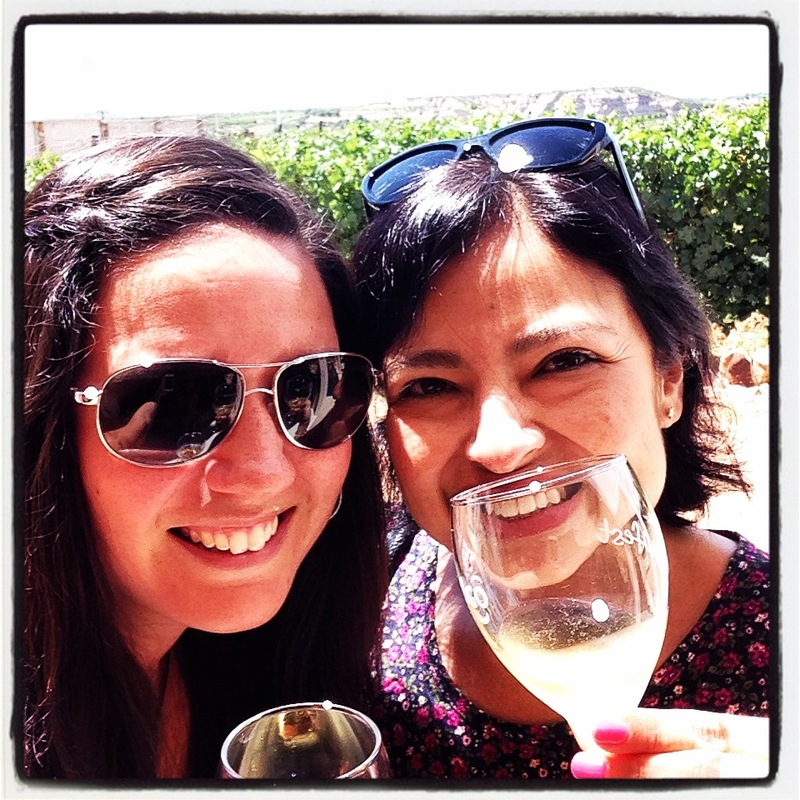 Tarija – Wining with my BFF. 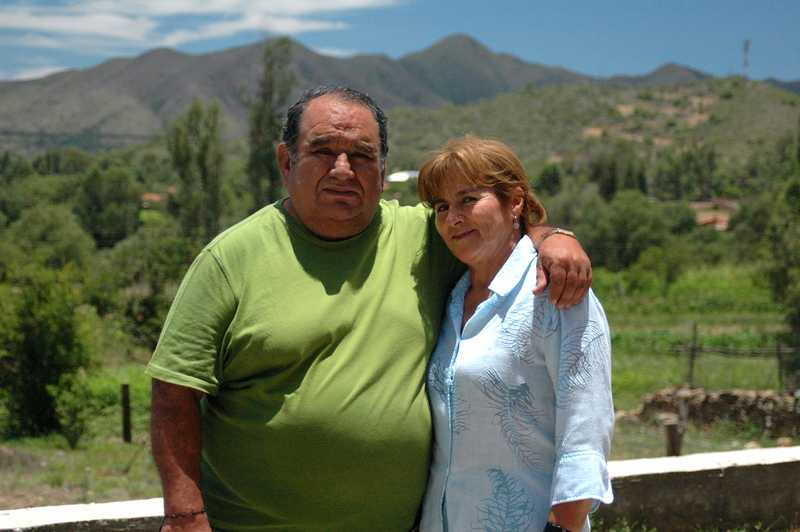 Tarija – Another tourist attraction in Tarija, La Angustura. 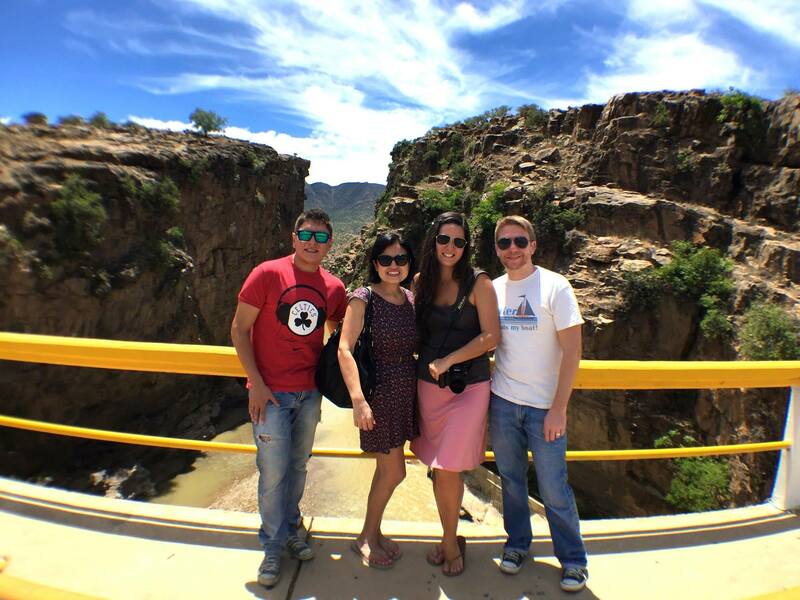 This is my cousin, Sebastian, my BFF, Flavia, me, and JR.
Tarija – Our new German friends. 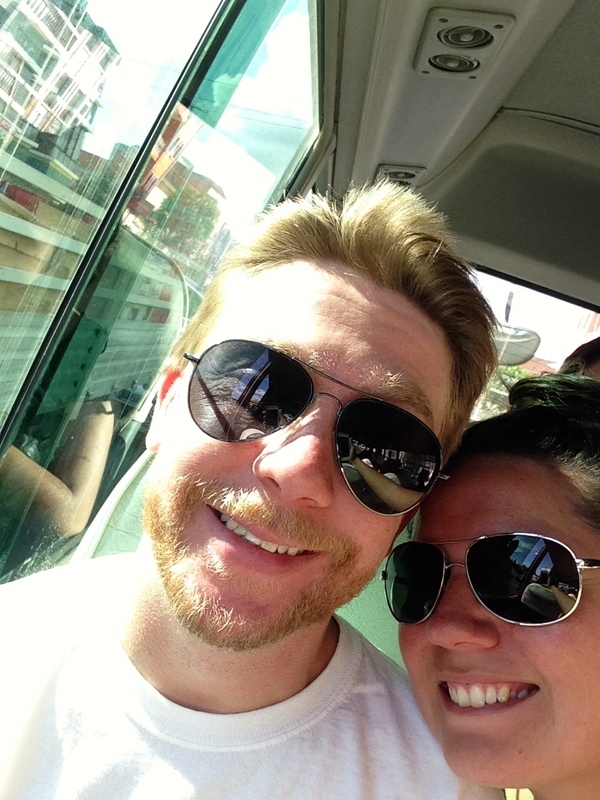 They are backpacking through South America, of course! Our crew at the Mirador de la Loma de San Juan. Some of our beautiful family on Christmas Eve. Cousins, cousins, and more cousins! 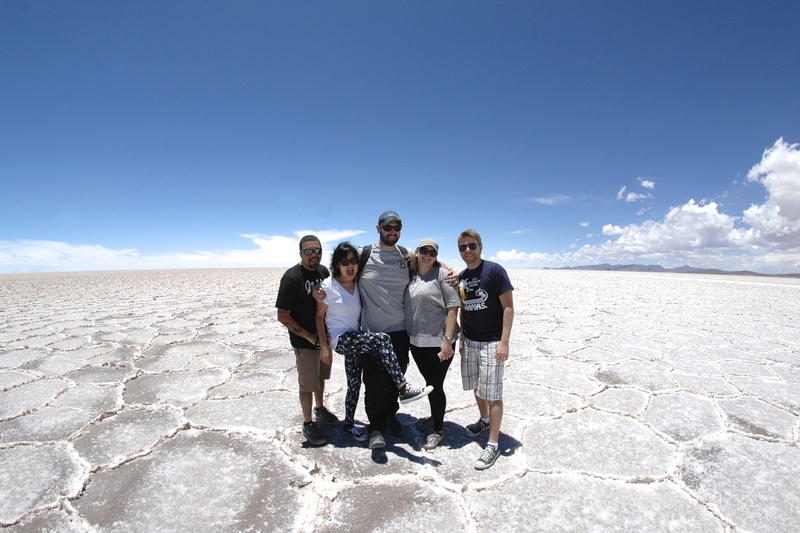 After Christmas, the original 6 of us rented a van and drove to Uyuni, Bolivia, the home of the world’s largest salt flats. It was an 8 hour drive and it seemed like it was straight up since it is right around 12,000 feet above sea level. 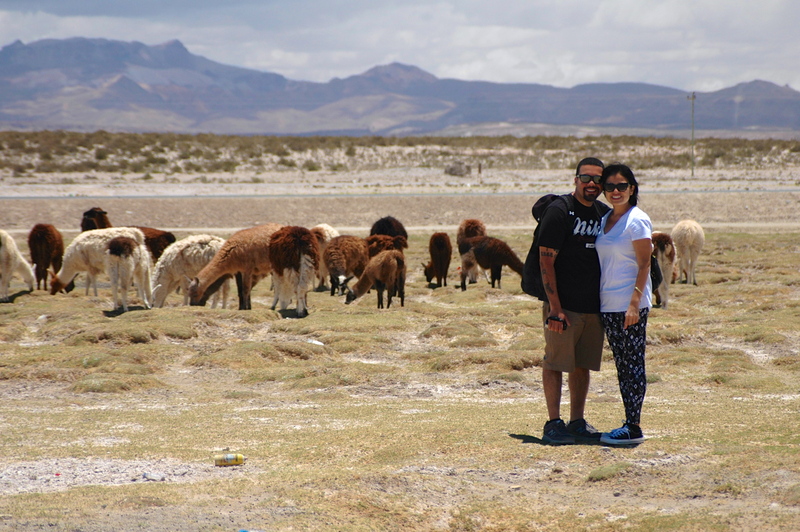 We toured the salt flats for 2 days with a great guide named Ivan :) We started at the train cemetery, entered the salt flats at Colchani, saw the bubbling water that lives under the salt, visited some llamas, took in the view (wow), played with pictures (Ivan was great at this) and ended our day in a salt hostel. A hostel! We are officially travelers. For dinner at the hostel, some of the crew even ate the local favorite, llama chops! 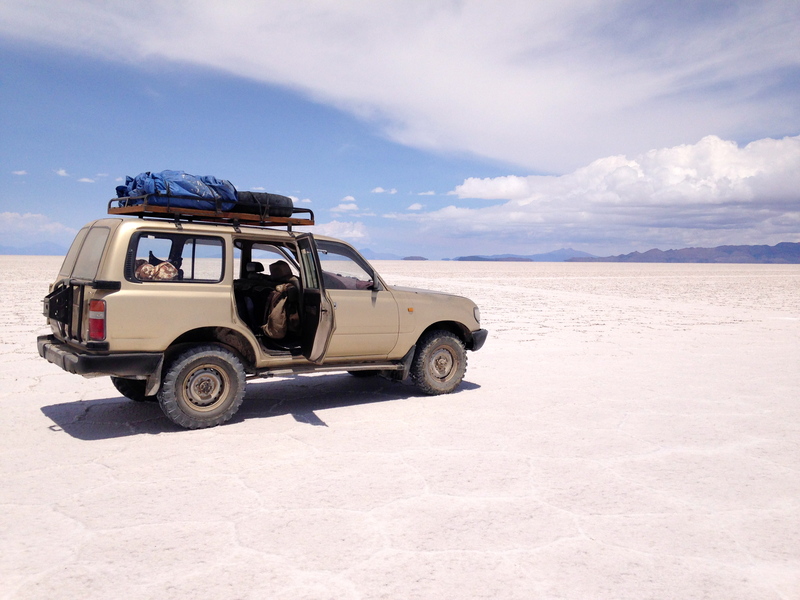 Uyuni – The crew headed to Uyuni. 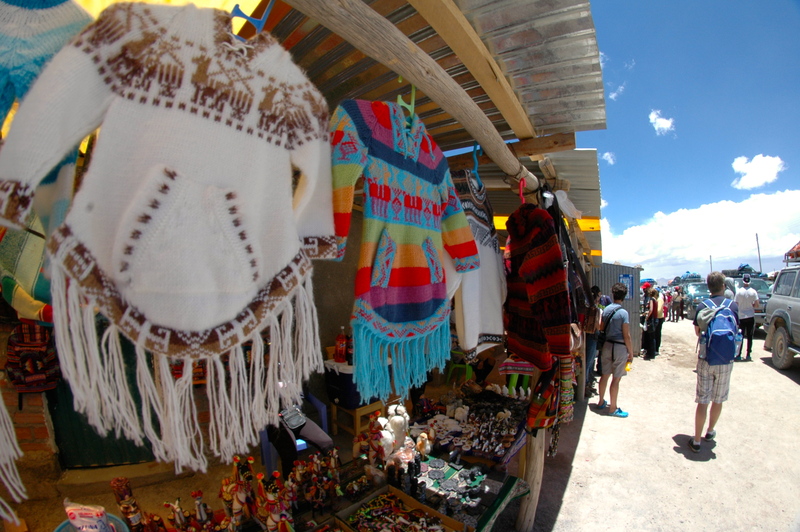 Uyuni – Colchani market. 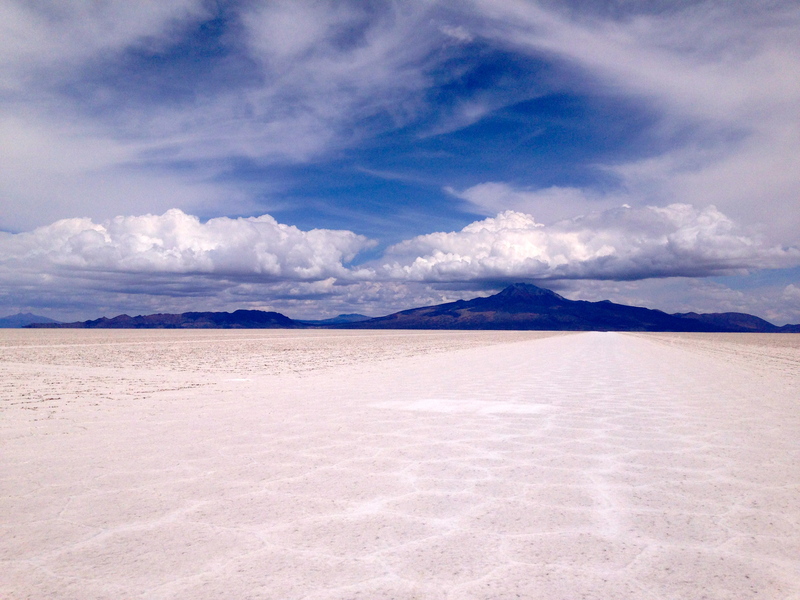 The entrance into the salt flats. 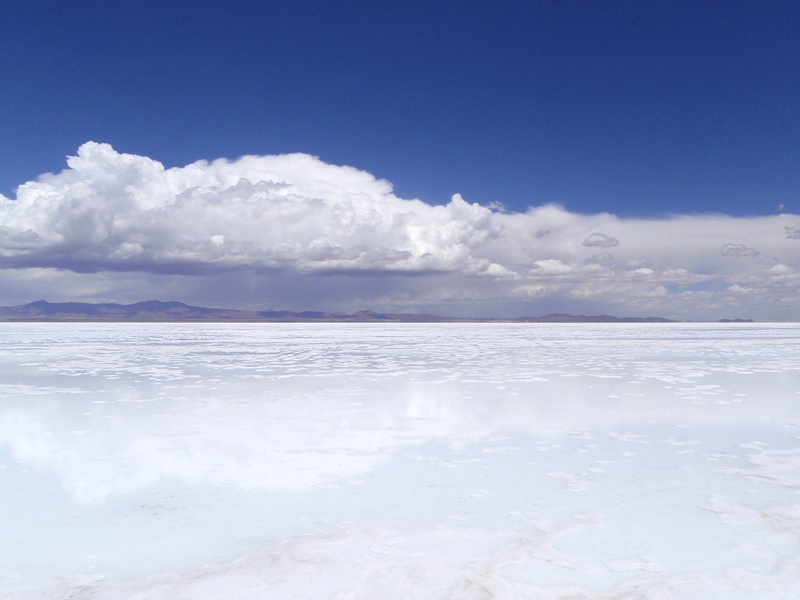 Uyuni – The bubbly, muddy water under the salt. 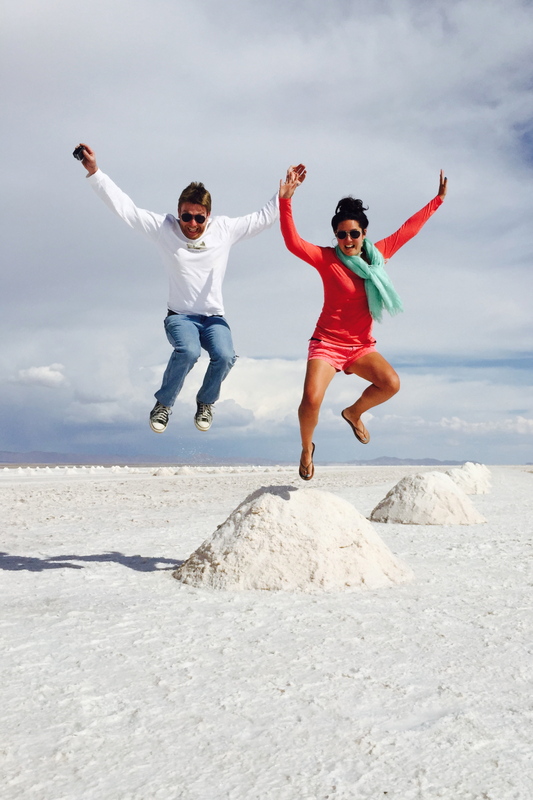 Uyuni – The crew and the salt. 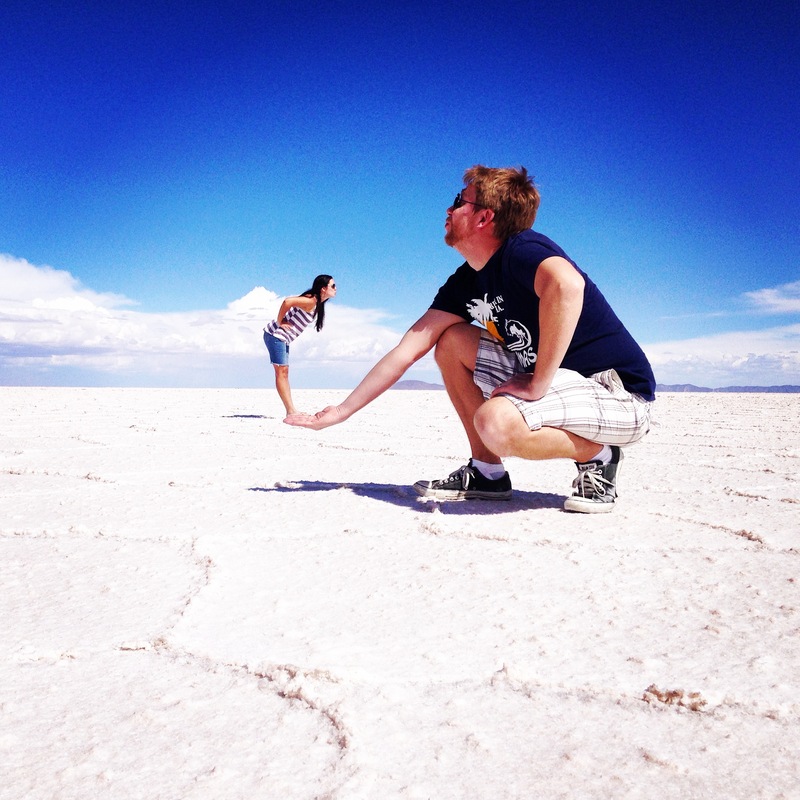 Uyuni – Ivan working on the cool pics! 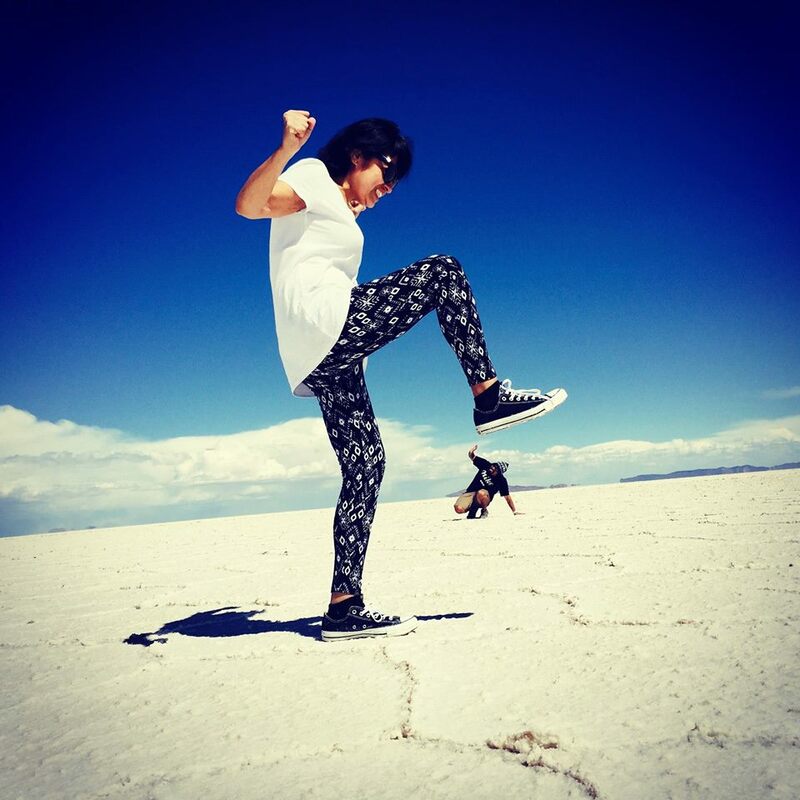 Uyuni – The outcome of Ivan’s artistic genius! 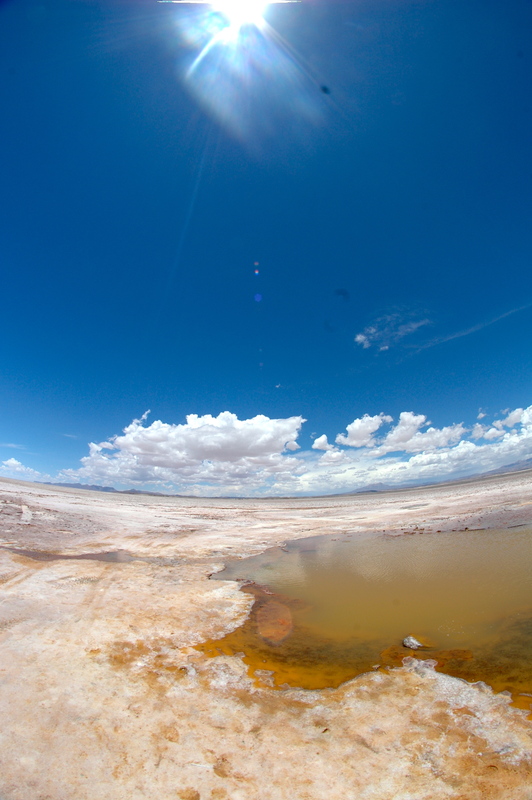 Uyuni – More of Ivan’s work. 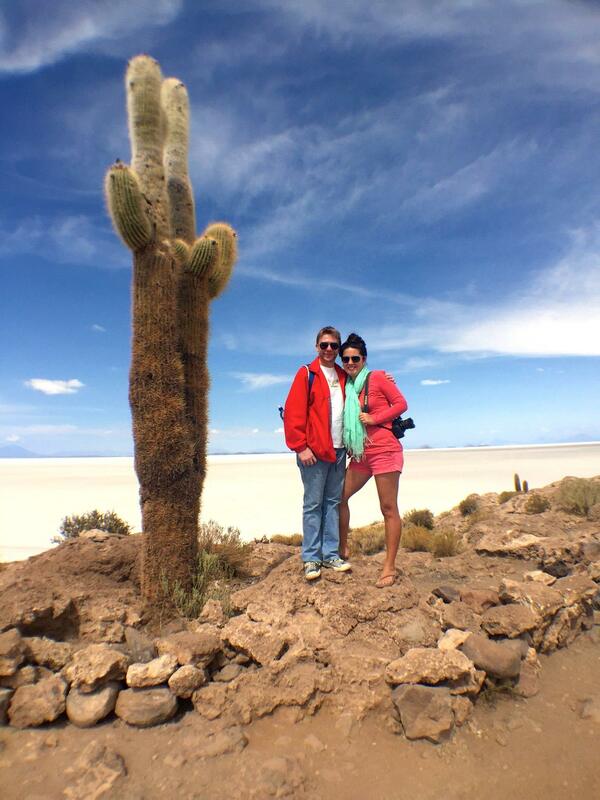 Uyuni – Family pic in the salt flats. 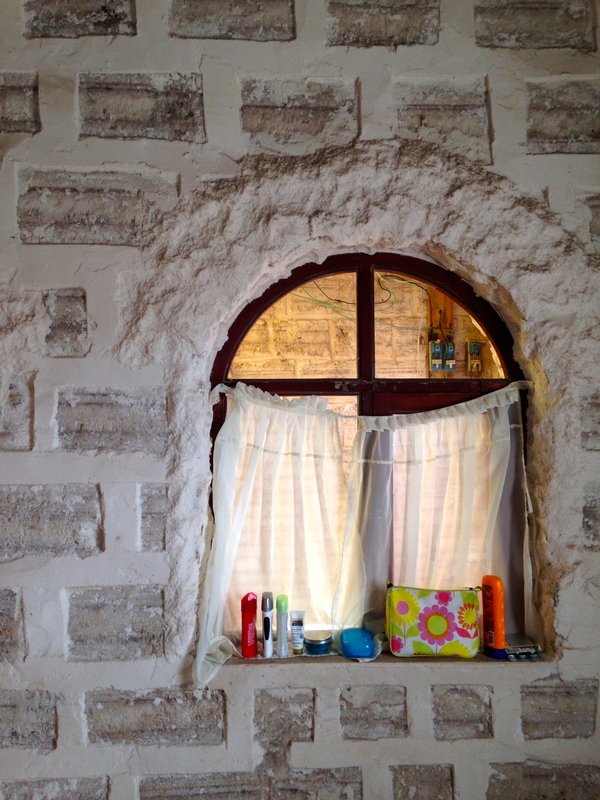 Uyuni – The window in our salt room. Those are salt bricks! The second day started with a beautiful sunrise, then we visited the island Incahuasi which reminded me so much of the beautiful, little, scrubby islands of the Bahamas. 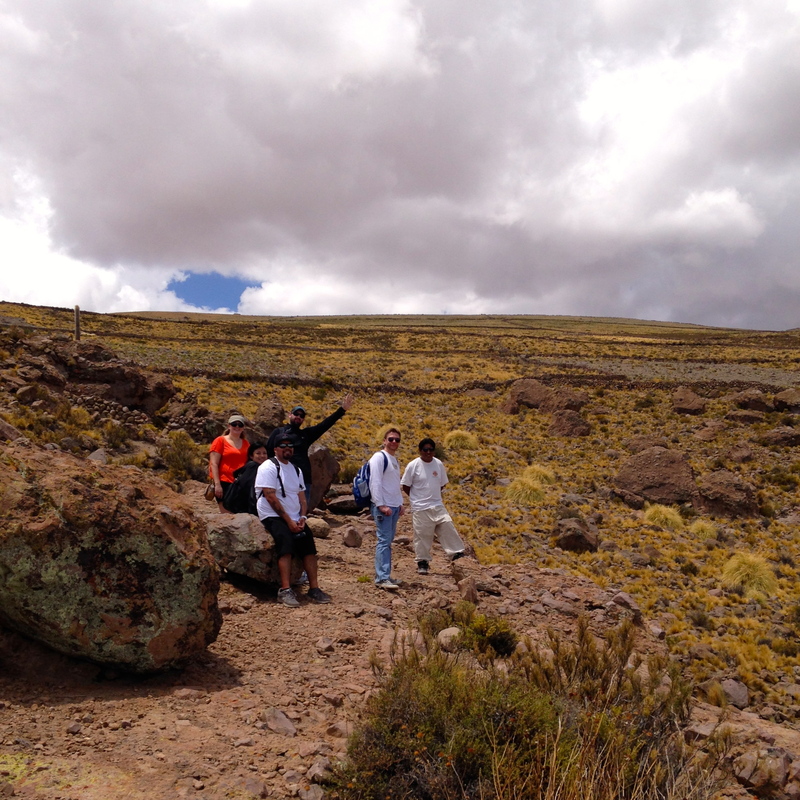 After that we chiseled for some salt crystals, and drove up to the Tunupa volcano for beautiful views and mummies, of course. It was an insane trip. One of the most beautiful places I have ever seen. If you have the opportunity, go. 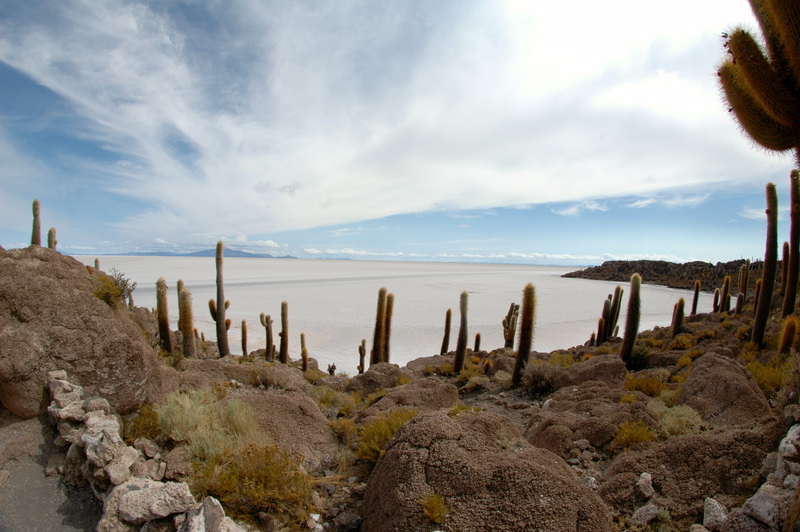 Uyuni – The island of Incahuasi located in the middle of the salt flats. Switch that salt for crystal blue water and you’re in the Bahamas, baby. 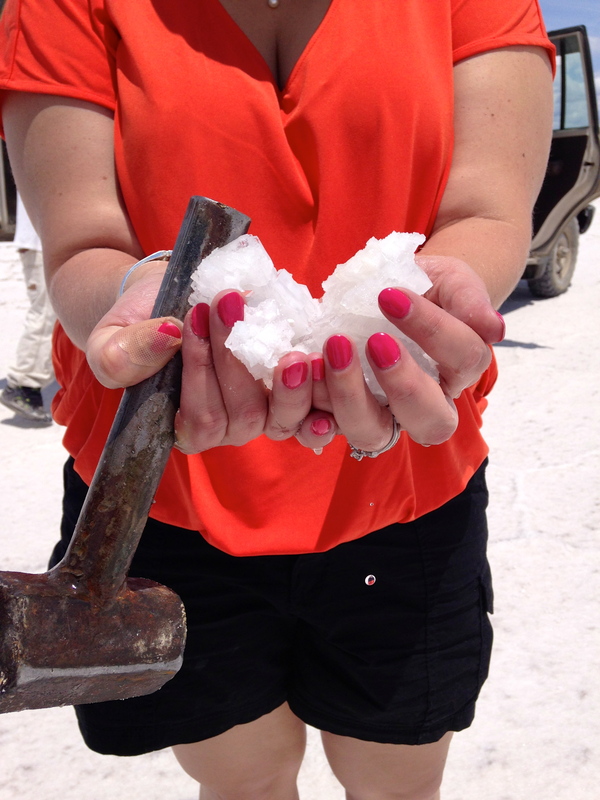 Uyuni – Stopped to search for crystals. 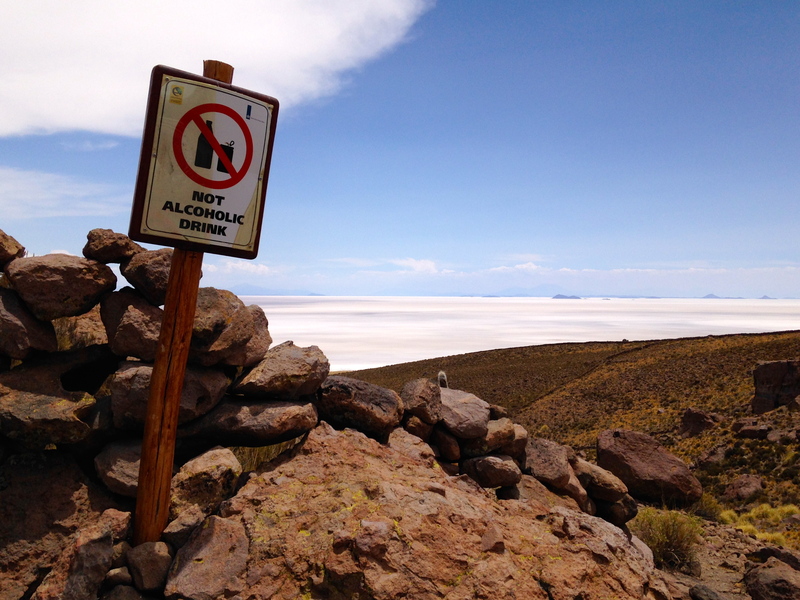 Uyuni – Next stop was this volcano. 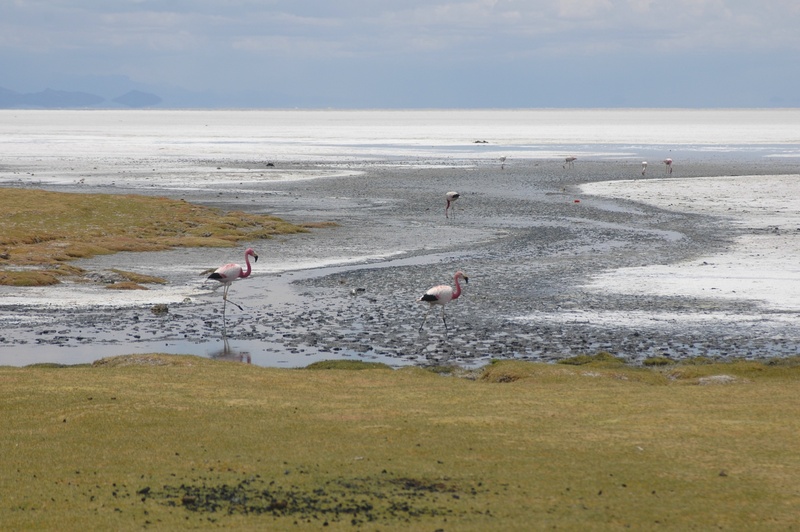 Uyuni is also the breeding ground for lots of species of flamingos! 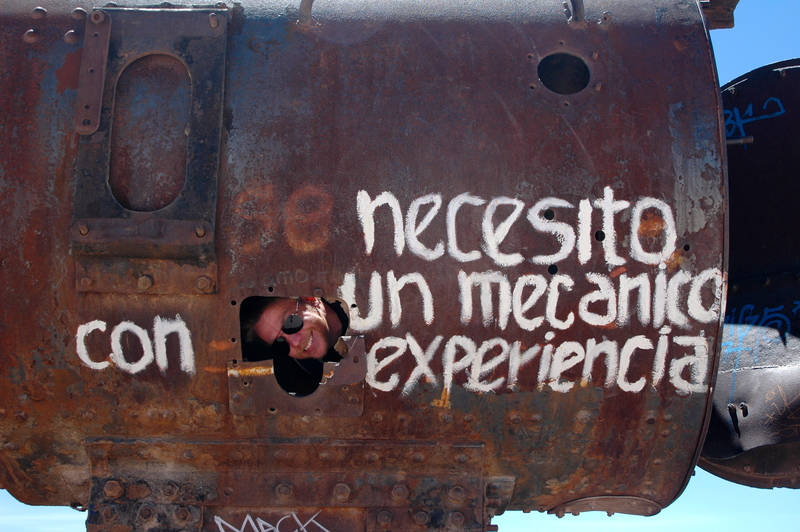 Uyuni – Well then, what else is there to do!? 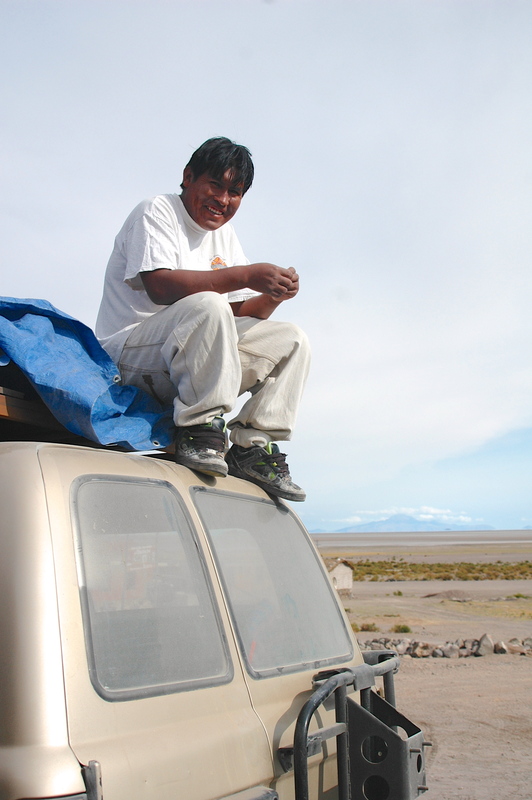 Uyuni – The crew, climbing in the mountains near Volcano Tunupa. 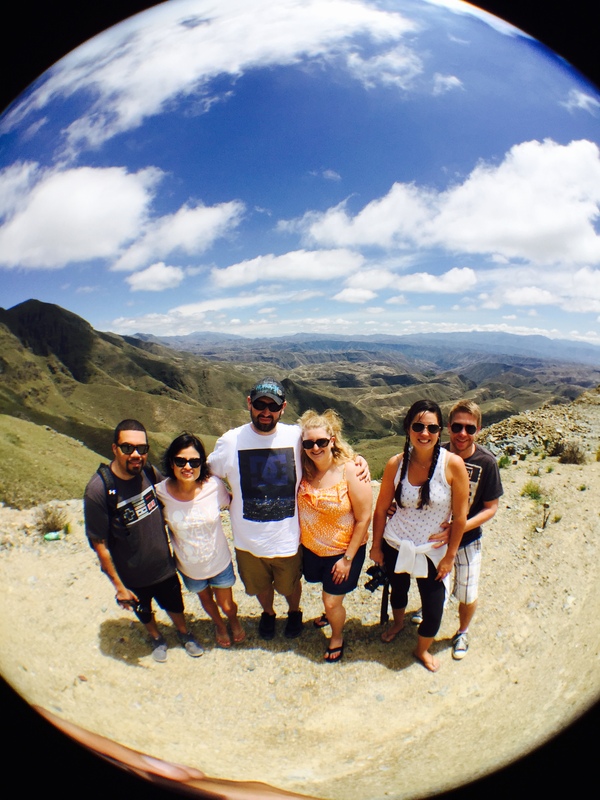 Here are a few more pics of our last few days with the family in Tarija. It was wonderful and we look forward to going back. 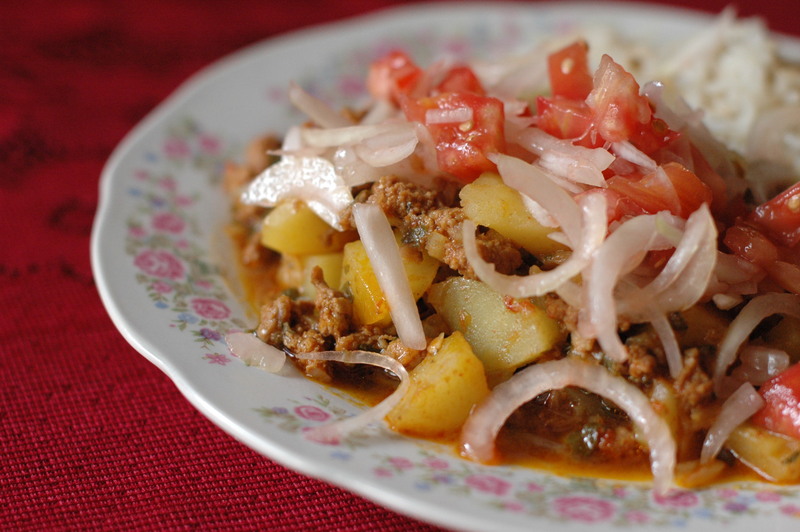 Tarija – My daddy is the master chef when it comes to a traditional Bolivian dish called Saice! 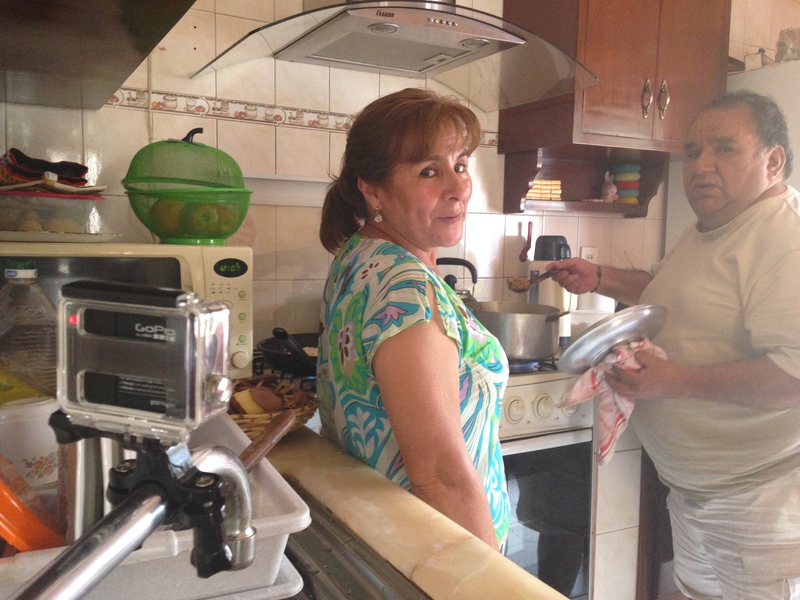 We did a cooking show with him and his novia, Nancy. Hoping to edit it up and give it out to family so that the recipe lives on forever! 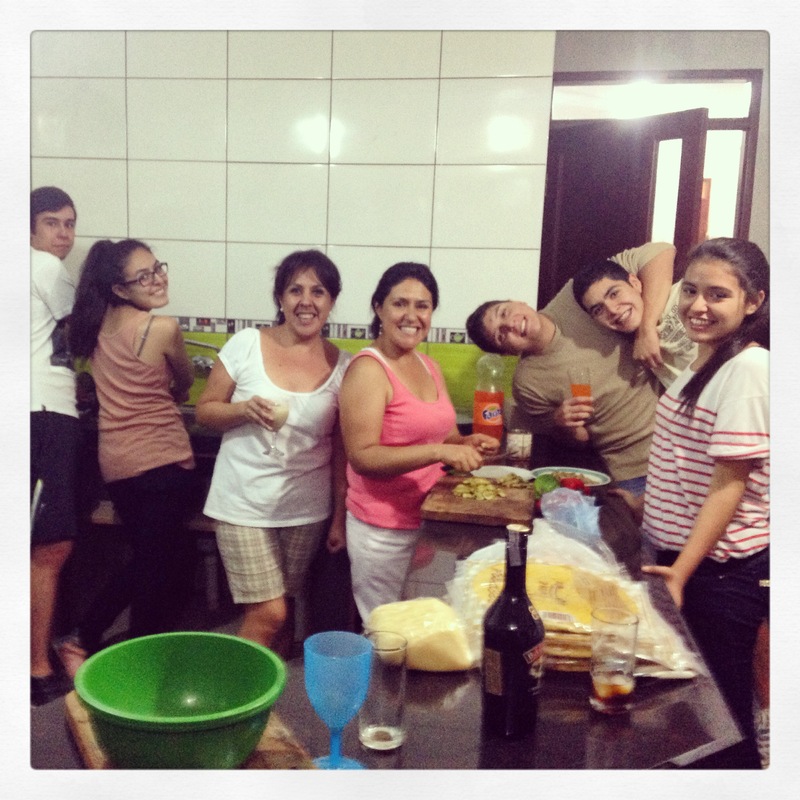 Tarija – Pizza making at my cousin, Roxanna’s house! 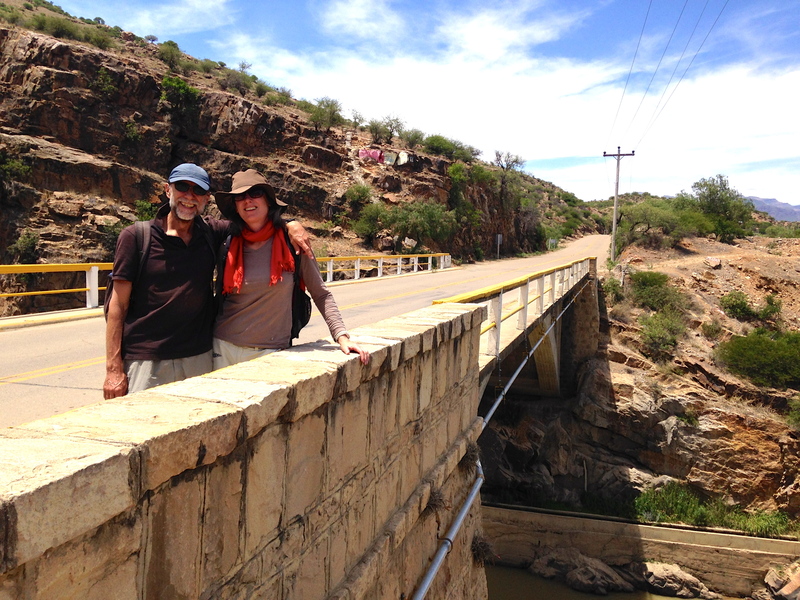 Coimata – Daddy and Nancy in Coimata, Bolivia (a little town not too far away from Tarija). 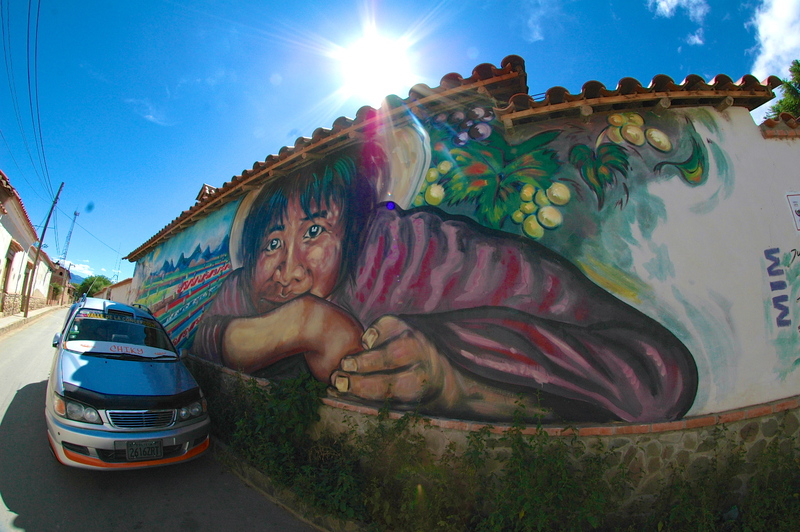 Tarija has fantastic public transportation called “the micro.” Cheap and it takes ya anywhere. 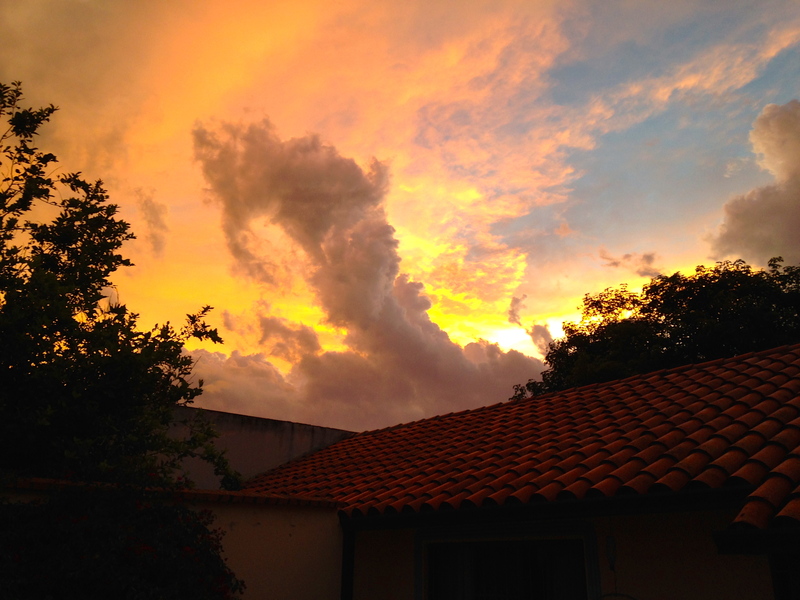 Tarija 6am – New Years goes on ALL NIGHT and all day the next day. This is me and my cousin, Sylvia at party #2. Wild. 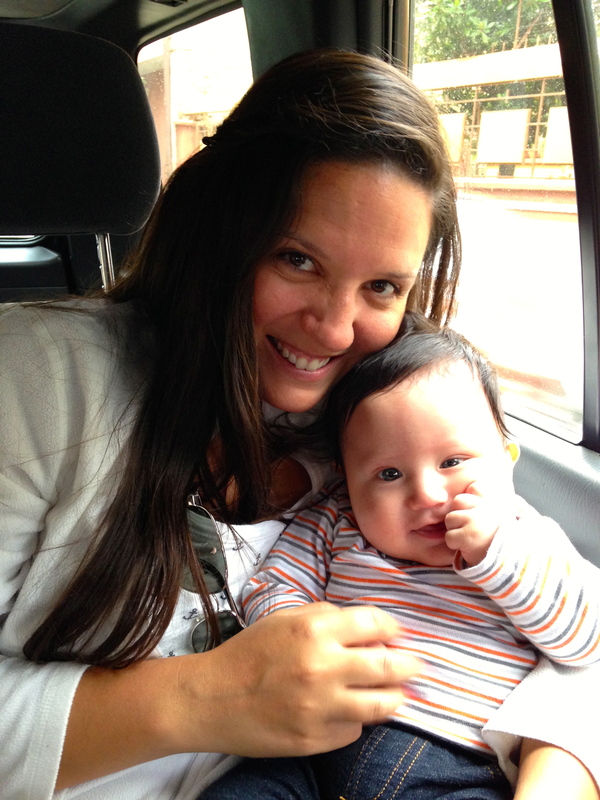 The newest addition to our familia, Luciano, and me holding a baby. That’s kinda’ a big deal. At another mirador with my cousin Alejandro (Luciano’s Papa) and JR.